W&L Programming teams won 2nd and 6th place out of 20 at the annual Dickinson College Programming Contest on Saturday, April 5. 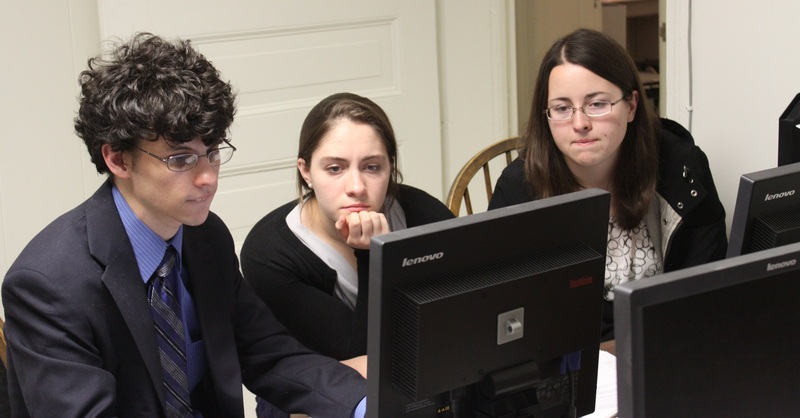 Team “Syntax Error to the Thrown Exception” placed 2nd with seniors Richard Marmorstein ’14 and Alex Baca ’14 and first year Lauren Revere ’17. Team “Justice League” placed 6th with seniors Garrett Koller ’14 and Anton Reed ’14 and junior Samantha O’Dell ’15. In such competitions, teams try to solve as many of the programming problems as possible in the least amount of time, fueled by pizza, snacks, and caffeine. A solution consists of code that correctly executes for all possible correctly formatted inputs. The contest also included teams from Dickinson, Elizabethtown, Ursinus, Gettysburg, Lebanon Valley, and Messiah Colleges and Penn State – Harrisburg. Team “F.R.O.G” from Messiah College won the competition. 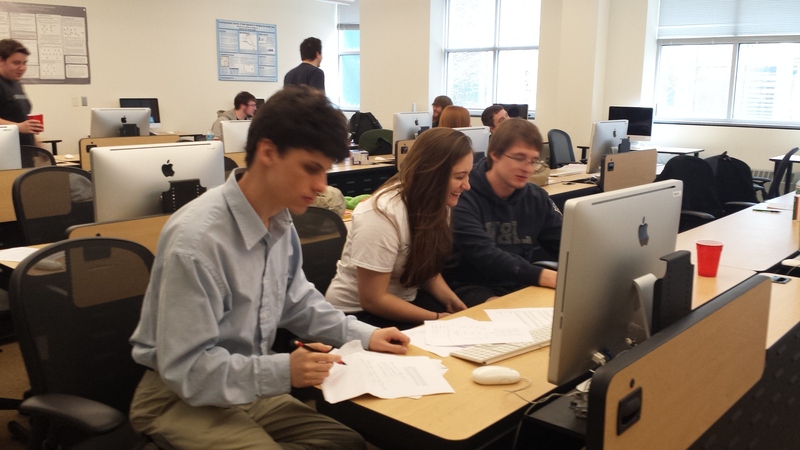 The Programming Club and ACM Student Chapter at Washington and Lee is led by Alex Baca ’14. 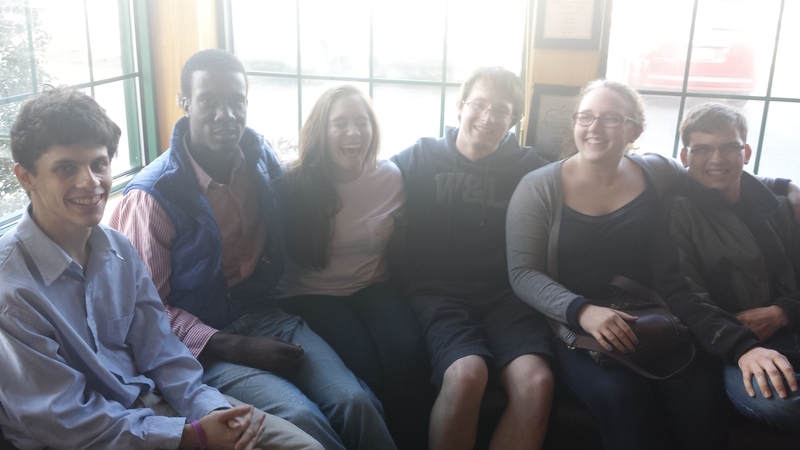 Celebrating afterwards, Richard Marmorstein ’14, Anton Reed ’14, Lauren Revere ’17, Alex Baca ’14, Samantha O’Dell ’15, and Garrett Koller ’14. 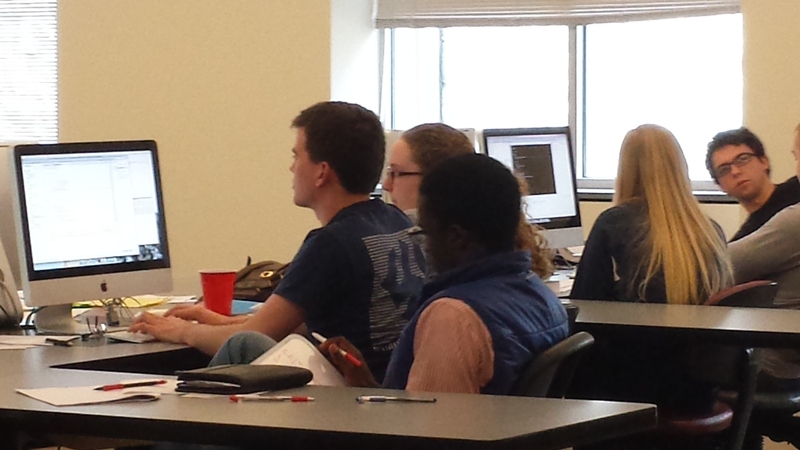 Six members of the W&L Programming Club excelled at the annual Longwood Programming Competition, held October 19. The two teams of three placed second and third out of 10 teams competing. Team ArrayList, which placed second, included senior Richard Marmorstein ’14 and two first-years, Lauren Revere ’17 and Jamie White ’17. Team UnlimitedCodeWorks placed third and included senior Garrett Koller ’14 and third-years Onye Ekenta ’15 and Samantha O’Dell ’15. Lauren Revere ’17, Jamie White ’17. In such competitions, teams try to solve as many of the programming problems as possible in the least amount of time, fuelled by doughnuts and caffeine. A solution consists of code that correctly executes for all possible correctly formatted inputs. Both teams solved five of the seven possible problems. Longwood seniors Nick Pastore, Richie Noble, and first-year Andrew Brogan placed first in the contest. The Programming Club at Washington and Lee is led by Alex Baca ’14. The Club is now preparing for the imminent ACM Regionals competition, which will be held nationally at many sites on November 2. Go Generals!